Information and applications for our YAP! Summer Work & Learn Program are on-line. 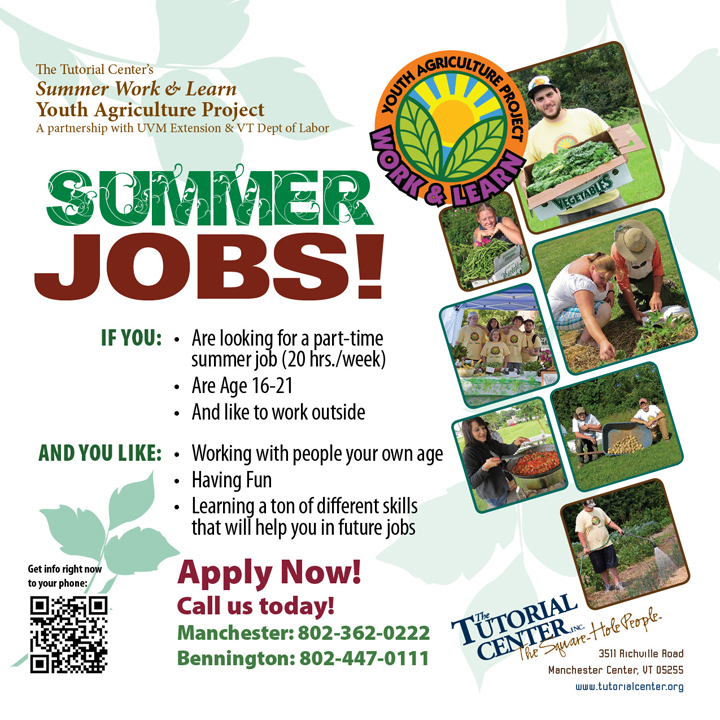 If you’re age 16-21 you might qualify for one of these fantastic summer positions! To work in Bennington click here. To work in Manchester, or perhaps Danby, click here.